Hurricane Michael is forming in the Western Caribbean and is gaining strength as the storm moves into the Gulf of Mexico. At least one cruise ship itinerary has been altered and more could be on the way. 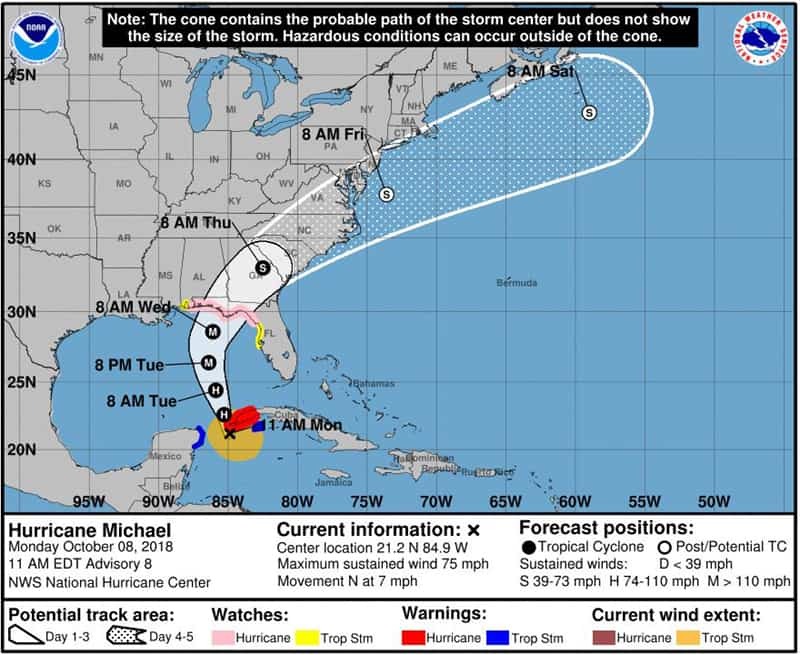 Hurricane Michael which is gaining strength as it moves north through the Gulf of Mexico where it could possibly become a major Hurricane. After that, the storm will become even more powerful causing major disruption across the Northwestern Caribbean and ships sailing in the Gulf of Mexico. The first cruise ship has already been impacted by the storm. Norwegian Getaway which is operated by Norwegian Cruise Line has replaced two scheduled port of calls during its current October 7 sailing. According to Cruise Critic the call in Roatan, Honduras will be replaced with Falmouth, Jamaica on October 9 and the call in Costa Maya, Mexico replaced with Grand Cayman on October 10. Norwegian Getaway is not expected to have any more changes and will still arrive as normal back in Miami, Florida on October 14. Carnival Freedom which is operated by Carnival Cruise Line has also been forced to alter the current October 6 sailing from Galveston, Texas due to Hurricane Michael. The ship’s scheduled call in Cozumel, Mexico today (October 8) has been canceled and is having a fun day at sea instead. Carnival Triumph which is departing today (October 8) from New Orleans will keep the same port of calls but change them around to stay away from the Hurricane. Progresso will be first on October 10 and then Cozumel on October 11. The ship will arrive back as normal. The ship is departing on a 5-night Western Caribbean cruise. 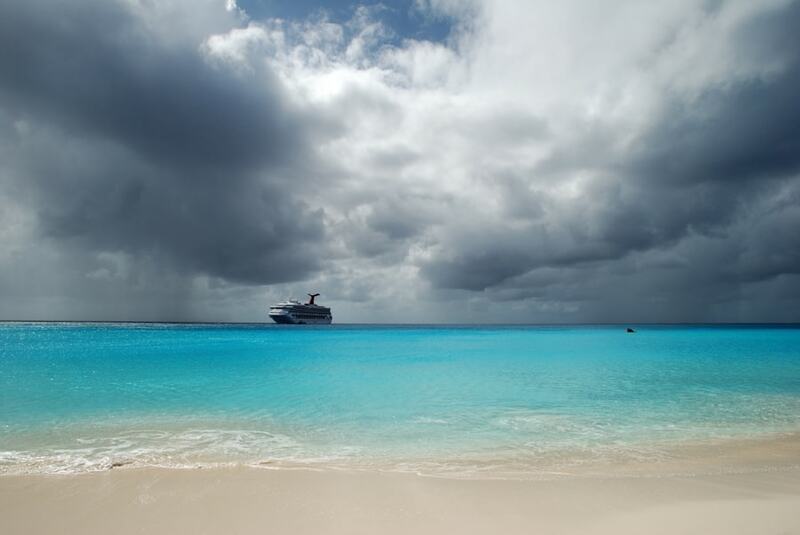 Carnival Glory’s call in Grand Cayman today has been canceled. The ship is now spending a fun day at sea just like sister ship Carnival Freedom. The Carnival cruise ship departed Miami on October 6 and is on a 7-night Western Caribbean cruise. We will be posting updates on further itinerary changes for all the major cruise lines. Carnival Cruise Line and Royal Caribbean are monitoring the storm developments and will be keeping guests updated on current cruises and upcoming ones if needed. At the moment Hurricane Michael has maximum sustained winds of 75 mph and is moving north at 7 mph. Micahel is located around 50 miles south of the tip of west Cuba in the Eastern Caribbean. According to the National Hurricane Center (NOAA) based in Miami, the storm will gain strength and could be a major Hurricane when it starts hitting the Florida coast on Wednesday. There are warnings in place and Michael is set to cause extremely dangerous conditions with high winds, heavy rainfall, and high swells. Do follow Cruise Hive for all the latest developments on this Hurricane and keep checking official updates from the cruise line for any itinerary changes.